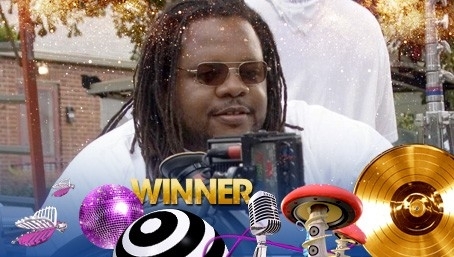 Last night’s 2011 BET Awards proved rocking for Robot director Chris Robinson, who took home the award for ‘Video Director of the Year’. This year, Robinson directed videos for such top artists as Lil Wayne, Mary J. Blidge, Big Boi, Ludacris, Eminem, Monica, Jamie Foxx, Drake and Nicki Minaj. Robinson also made a splash at the awards with his direction of the hilarious parody of BRAVO’s ‘Real Housewives’ series, with the ‘Real Husbands of Hollywood’ featuring Anthony Anderson, Bobby Brown, Jermaine Dupri, Nelly, Kevin Hart and Nick Cannon. Check it out HERE. This entry was posted in Uncategorized and tagged BET Awards 2011, Chris Robinson, House Husbands of Hollywood, Music Video Director, Nicki Minaj. Bookmark the permalink.